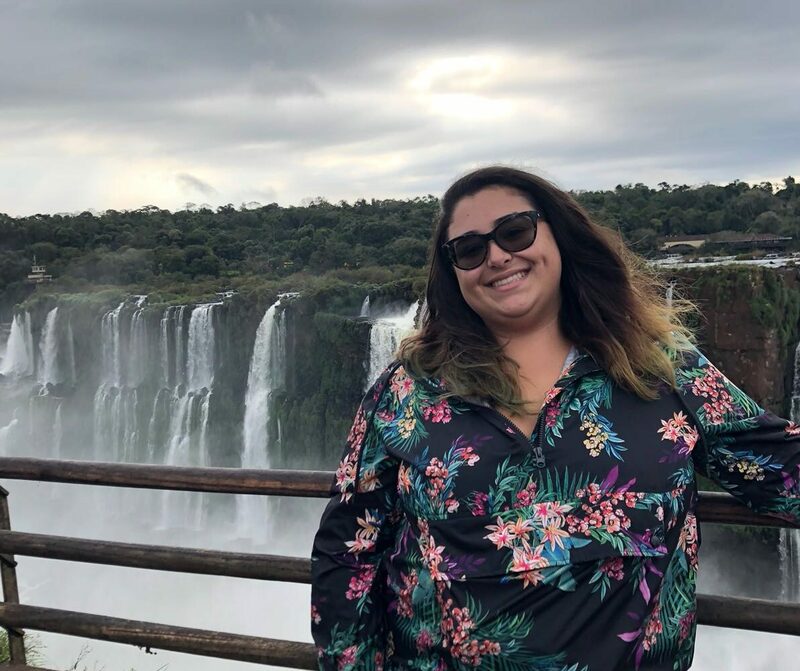 This article is part of our Summer Sojourns 2018 series highlighting the summer adventures of FIU students. 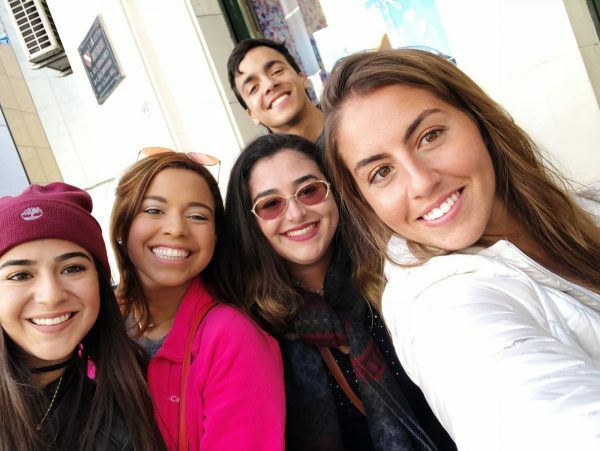 Earlier this summer, a group of students packed their bags and headed to Buenos Aires for the Politics and International Relations in Argentina study abroad program. The program is led by the Kimberly Green Latin American and Caribbean Center (LACC), housed in the Steven J. Green School of International and Public Affairs. 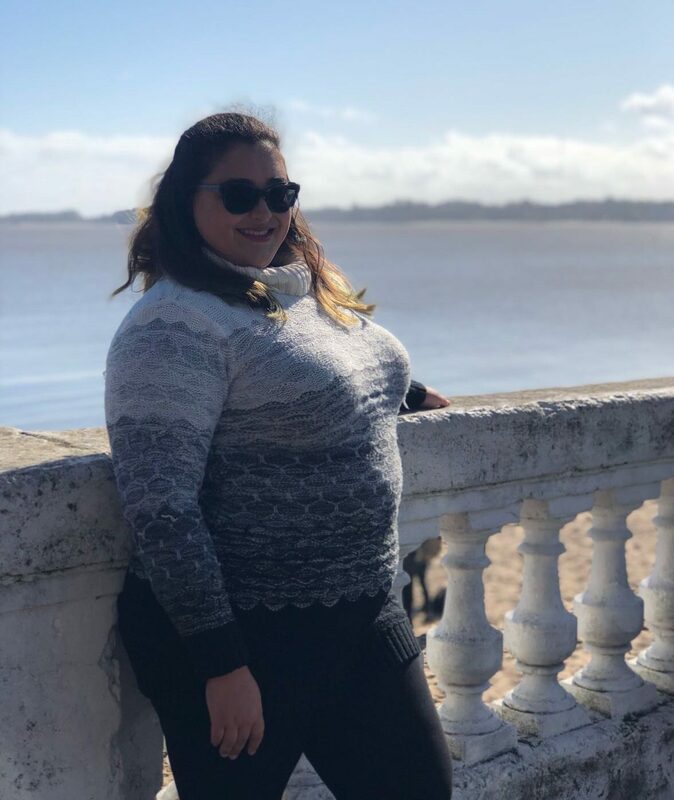 Below, Isabelle Brito—a sophomore majoring in international relations—shares her experiences during the trip and just how important this journey was to her. When I started applying to colleges, almost everyone I knew told me that I had to participate in a study abroad program. I was told that it was a life altering experience, one that you could never get once you graduate and move on to the “real world.” They were right. Going to Argentina had always been a dream of mine. Well, I have always dreamed of traveling to all the countries of Latin America. 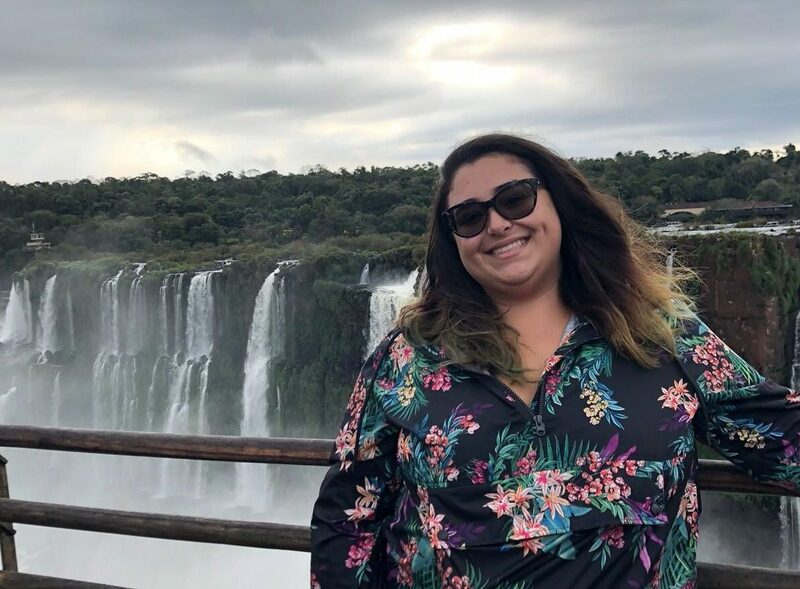 During the trip, I enjoyed taking Tango lessons, excursions to other areas in Argentina, walking around the city and just getting lost while exploring and eating amazing food and having Argentinian parilladas – barbecues often consisting of steak, chicken and sausages. Brito snapped a picture at the Casa Rosada [Pink House], the official house and office of the President of Argentina. 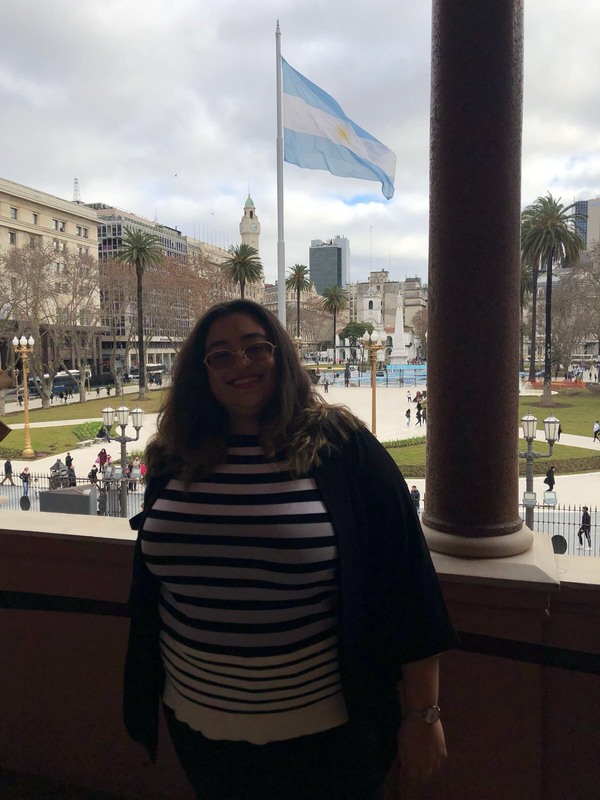 We took trips to historic sites like Casa Rosada [Pink House], the official house and office of the President of Argentina, and Plaza de Mayo. We visited multiple museums like, the Museum of Immigrants – where you can see the port and the walkway that immigrants had to take in order to reach Argentina. We also spent two days and one night at Iguazu National Park, hiking the park and seeing the epic waterfalls cascade along the way. Moments like these made me stop and appreciate the entire experience. We also spent a weekend in Colonia, a town in Uruguay just across from Buenos Aires. Colonia is a beautiful, historically rich town by the seaside. The Barrio Historico [Historic Quarter] shows the quaint and gorgeous historic architecture with a lighthouse that you can climb all the way up and see all of Colonia. While studying in Argentina, I lived with an Argentine family. My homestay mother, Rogelia or Roye, as she liked to be called, was integral to my experience. I was nervous and had a little anxiety about being away from home. She welcomed me with open arms. The first day I met her, she took me to a family dinner an hour outside of Buenos Aires. There I met almost her entire family. They reminded me of my own family: loud, argumentative and loving. Brito with fellow FIU students in the program at Argentina. From left to right: Vanessa Caamano, Amanda Perez, Brito, Luis Suarez and Alexi Santandreu. I also absolutely loved getting close to the rest of the student group on this trip. Amanda, Alexis, Emmanuel, Eva, Luis and Vanessa, became like family to me. They are all amazing and vibrant people. There was never a boring day in Buenos Aires. Academically, this was also an amazing experience. Being able to study the country of Argentina, while being in Argentina and experiencing its culture, has been such a unique experience. The professors that joined us —Professor Paula Hyrcyk, from the Argentinian Universidad de Tres de Febrero, and Professor Gabriela Hoberman, an FIU professor — were both amazing; they taught us with joy and made the classes interesting and fun. Liesl Picard, the associate director of LACC, put the study abroad program together and led the student group for the first two weeks. Going to Argentina and learning about international relations in the realm of Latin America let me see the extent of relations between all the countries and mainly some of the largest and most powerful countries in the world, like the U.S. and China. Both of these countries see the Latin American region as a very historically-rich environment and a strategic location. The history of Latin America, especially the period between the 1970s and 1980s and how it has affected life in Latin America today, really peaked my interests. This journey helped me learn about a new country and its culture, but it also made me live independently and learn about myself. I had always been unsure about which region I wanted to focus on as an international relations major – whether it would be Asia, Europe, the Middle East, Africa or Latin America. This trip helped me decide what I want to focus on: the Latin American region and its foreign policies. After this summer trip studying abroad, I wholeheartedly believe that every student should look into study abroad programs at FIU and take advantage of the opportunities that FIU gives us. It’s opportunities like these that don’t always come after graduation.